Keep going,.So.close to Ket record ! After many years... Finally a new PB. Edit: Two PBs in two days? Hey there is anyone have ever seen this bug on video above ? I just find it by myself, and it ´s very uncommun I think !! It's a well-known bug. It happens occasionally. 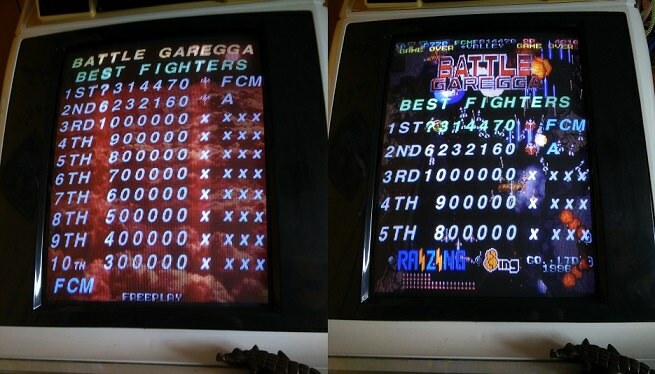 Been working on this game on & off for years, never got the 1cc. 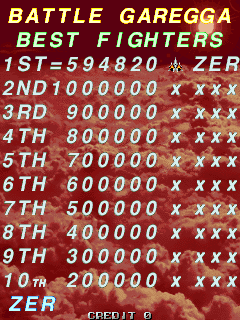 Now a personal best as well as my first 1cc ever in Garegga in one go, years after my last serious attempts of playing! All the strategies were just stuck somewhere in my longterm memory! Did not lose my medal combo even once, and somehow I did well with rank management, as Black Heart mk2 and Glowsquid were quite doable. Well done man for your first 1 cc ! This game needs a lot of practise and it 's really cool when you finally clear it ! Stay tuned for the I. Out of curiosity, what version is this? I'm not used to seeing the letter scores on the high-score list actually be correct. It's the Saturn version. The table was fixed there. Figured i should post this since it is an improvement. Dropped medals in stage 6 and lost out on about 300k as a result. 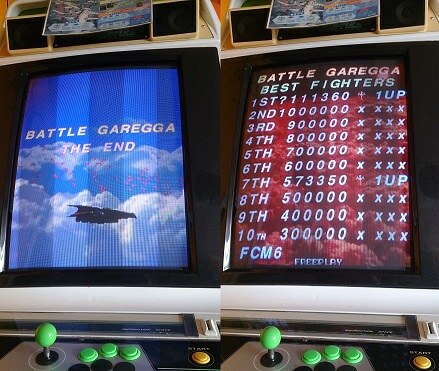 My last scorepost in Garegga was from February 2014. It feels good to finally break the silence and become an active player again. 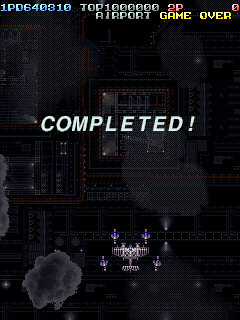 I like Garegga is a good game. Listed in order of completion. Could've been E if not for bad birds. That was an impressive run! Congrats to 2nd place on the rankings! Are you going to try to improve on this one further? Thanks, yeah I think E is my limit with Wild Snail so I'll stick with it. Casual ALL clear with Miyamoto. I would like to learn how to score more since recently it's been shown you can still score pretty high with only 10hz. More commonly known as the железная скумбрия.